In case of buying the ticket in person at the Gallery we reccomend you to make a reservation, because those who reserve have a priority when time comes to play our Treasure Map game and taking group/family photos. This means that sometimes you have to wait even for like 15 minutes. If you know which point of time you would like to visit the Gallery we ask you to reserve. Make your reservation now, online and avoid stuck in a queue for your photos. If you want to come as a bigger group, make a reservation so we can avoid tumult and concentrate on the group efficiently, please. Are you searching for a cheap, creative and original idea for your family program? 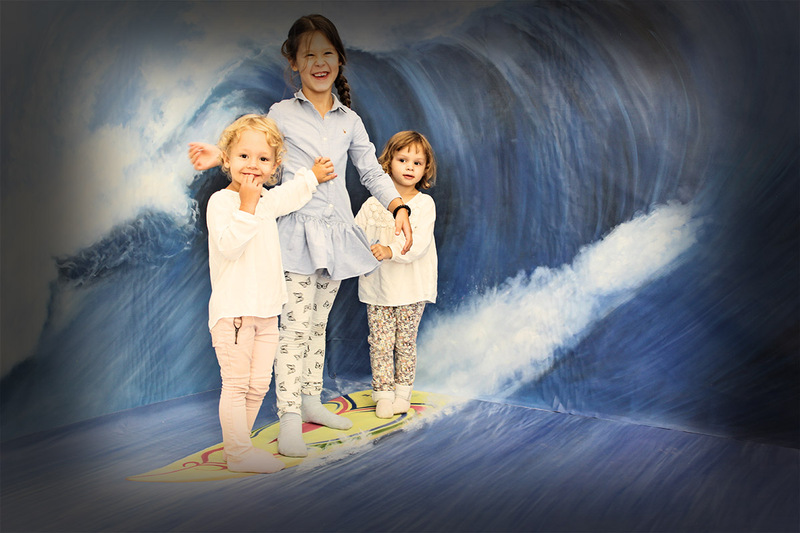 The 3D Gallery Budapest gives you and your family a chance for some unclouded fun. As the Hungarian saying goes: Simple but great. Be the part of the painting simply just by standing in front of them. Our paintings were made with a special technique. They will prove to you how important perspective really is and they will intruduce your children to the basics of being a creative and self-dependent artist. The best thing is that they are doing it in a way so your children will not need to put away their best buddies, their phones. Using a mobile device or a camera is a must in our gallery! Ideal program for families. Visit us for some hours full of laughter, freedom and art! Entertainment is guaranteed! Harness our special family tickets so you can enter for an even discounted price! Come to the gallery of endless adventures! To resort to our family ticket you need 2 parents and at least 1 child to be present. 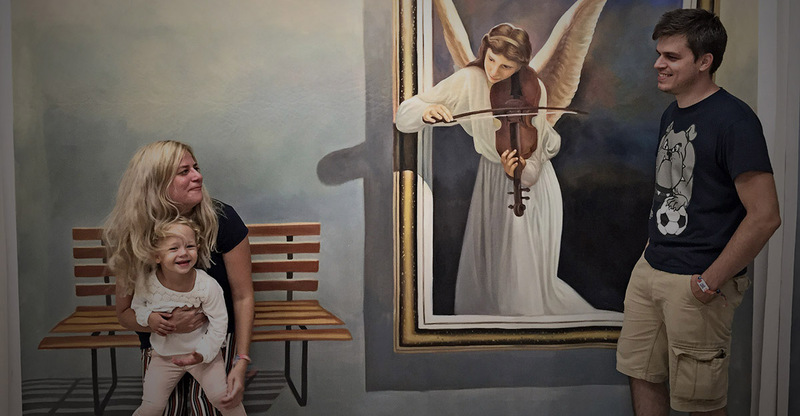 The gallery where you learn just by having fun, while experiencing the wonders of art and also becoming a part of it. Because art blossoms from your heart! BP, Bajcsy Zsilinszky str. 17. © 2017 3d Gallery Budapest. All rights reserved.